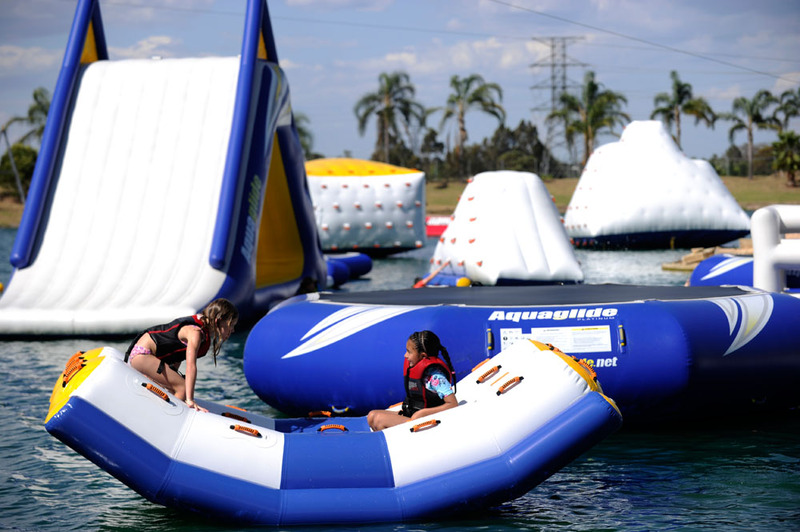 Our Aqua Park consists of a bunch of inflatable slides, runways, jumping pillows and structures. Its the most fun for your money you could ever imagine and sits well with the parks outdoor and physical activity philosophy, and family friendly atmosphere. PARTICIPANTS MUST BE AT LEAST 6+ YEARS OF AGE. For kids under the age of 6, there is a wet play area which can be used free of charge. BIRTHDAY Parties and GROUPS are our specialty!! School functions, Sporting teams & Youth groups. We have many birthday party package options to choose from to suit your groups needs. 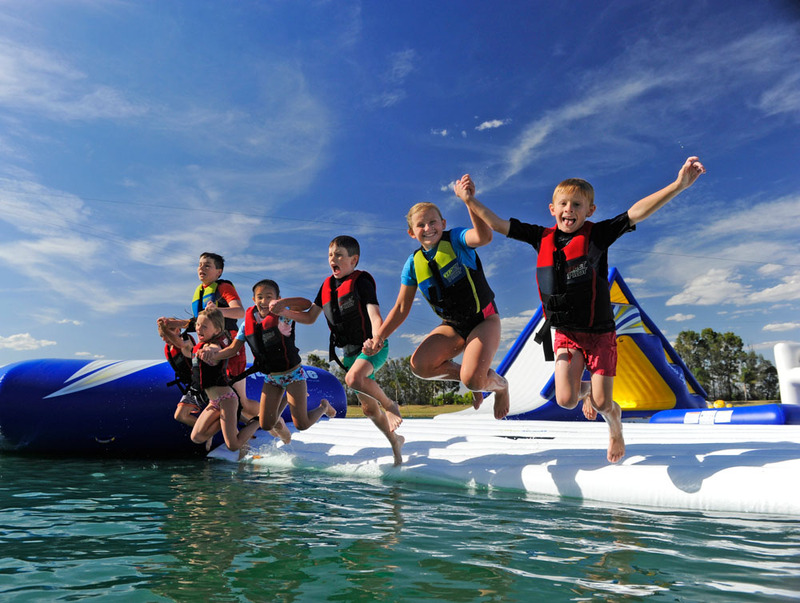 We also offer Private Aqua Park Sessions from 5pm-7pm for Groups of 20 or more. 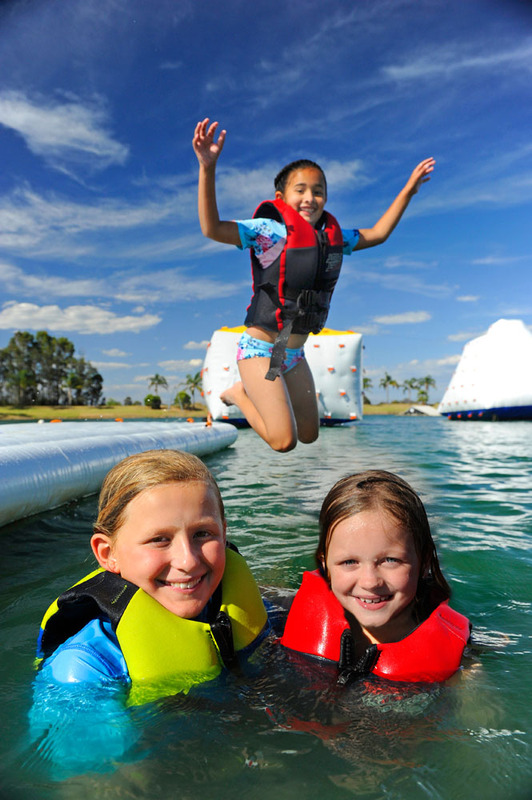 *Each Aqua Park 50 minute session begins on the hour from 10am. Last session starts at 4pm, dependent on the weather and demand. Please arrive 30 minutes prior to the start of a session to purchase your ticket, have your life jacket fitted and listen to the safety brief.